Bangladeshi police have arrested 10 Rohingya refugees as they were about to board a boat to travel to Malaysia, an officer said Friday. Southeast Bangladesh is home to around a million Rohingya, most of whom fled Myanmar last year following a military crackdown and are now in vast camps. There are fears that with the current calmer weather, many may try to reach other more prosperous countries by boat by paying often unscrupulous traffickers. The elite Rapid Action Battalion (RAB) said it stopped the six young women and four men at Shah Porir Dwip, a coastal station, on Thursday night before they could board a boat on the Naf river estuary dividing Bangladesh and Myanmar. “They were about to head to Malaysia through the Bay of Bengal. The girls won’t be aged more than 22 years. 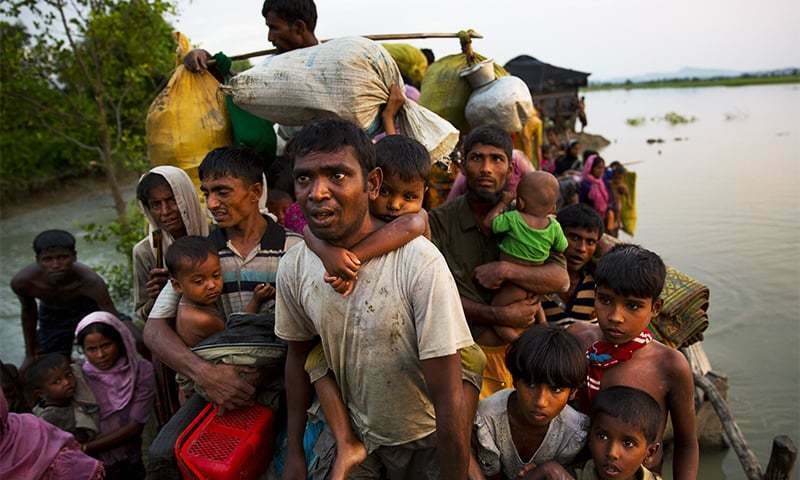 They were tempted that they can get married with well-off persons in Malaysia,” RAB Cox’s Bazar chief Mahedi Hasan told AFP. People smugglers in recent years have taken tens of thousands of Rohingya to Malaysia before Bangladesh launched a crackdown in 2015 after Thai authorities discovered mass graves and overcrowded boats drifting at sea. Hasan said the women paid $100 each to traffickers and the men paid nearly $250. “Each of them were supposed to pay another 200,000 taka (nearly $2,500) once the boat crosses Thai waters,” he said. A Bangladeshi trafficker was also arrested, he added. RAB said two of those who were arrested came to Bangladesh from Myanmar in 2000-2001. The rest were part of exodus of around 720,000 last year. Early this month the Bangladeshi coastguard intercepted a boat in the Bay of Bengal carrying 33 Rohingya to Malaysia. The sea tends to stay calm between November and March. During this time of year even small boats can travel long distances via the Bay of Bengal and the Andaman Sea.